Castle Renewed for Season 8 on ABC! As Castle gets ready to celebrate his Poe's Pen Career Achievement Award on the Castle Season 7 finale "Hollander's Woods" (air date: 05/11/2015), ABC's Castle has officially been renewed for Season 8 and will return for the 2015-2016 television season! On "Hollander's Woods," when the squad catches a case of a death in the woods, Castle has a flashback to a terrifying and defining experience from his childhood. He finally opens up about it to Beckett, and throws himself into the investigation. Despite skepticism from the others, Castle dedicates himself to unearthing the answers that have eluded him for decades. Meanwhile, Beckett faces a crossroads of her own. Watch the Castle Season 7 finale sneak peek now! 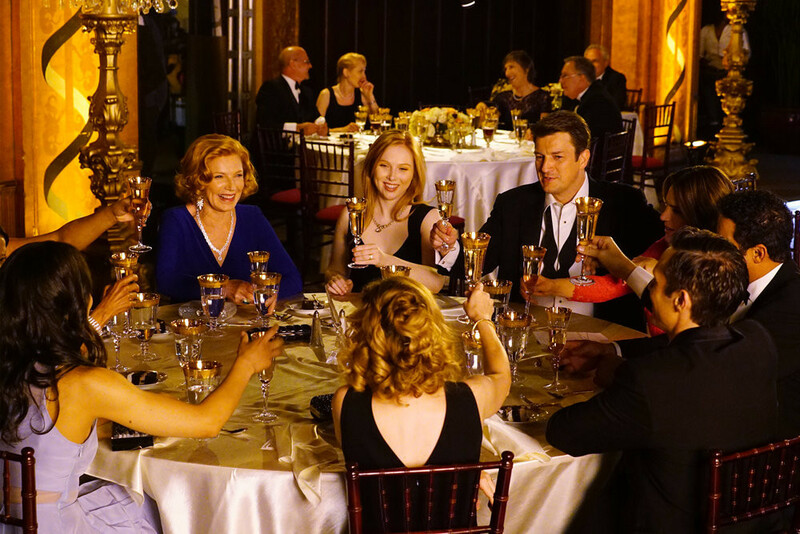 Castle, Alexis, and Martha and the rest of the team celebrate Castle's "Poe's Pen Career Achievement Award" from The International Society of Mystery Writers on the Season 7 finale episode "Hollander's Woods"